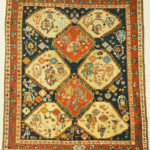 Although the Qashqai have never recorded their history in writing, they have passed it down through story and song for nearly a thousand years even through the Qashqai Rug. In their legends they claim to have come from Chinese Turkestan, sweeping across Afghanistan into Persia on the vanguard of the armies of Ghengis Khan. 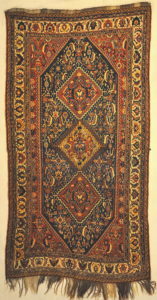 Once in Persia, the Qashqai chose to live in the mountainous region of Azerbaijan, in the Caucasus, far to the north of their present southern Persian location. Early in the 16th century, the Qashqai relocated to the Fars province, their habitat over the past 400 years, probably under the subjugation of Shah Isma’il, who wanted to create a human buffer against the Portuguese, who threatened his Persian Gulf shore. A Qashgai tribeswoman will work on her own rug for a period of time, move over to the loom of her neighbor, and then to that of yet another friend, before returning to her own weaving. At the same time, another group of women scour the nearby countryside, gathering mountain herbs, barks, and berries to boil in their collective dyebath. Irrespective of their ethnic or cultural background, these weavers all descended from several generations of skilled weavers who passed their tradition down to their descendants. This continual interchange of creative energy, along with the deep spirit of interconnectedness of a people engaging together in simple physical activity, undoubtedly is a key element in Qashqai antique rug weaving. This Antique Qashqai Kelim rug is full of history, it’s unusual sense of spontaneity and aliveness is a direct historical re-telling of it’s creators lives. These Oriental carpets are hand-knotted from fine wool, and are dyed using plants and minerals for natural-looking colors. 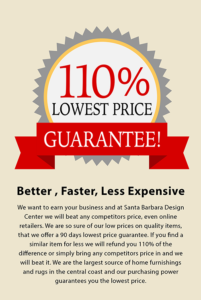 The carpets are usually deep red and dark blue, with beige elements. The designs in the fields of these beautiful antique Persian Qashgai rugs feature many different images, such as medallions, geometric shapes, and abstract patterns are common, but so are recognizable objects such as trees, flowers and animals. This Antique Qashqai rug is full of history, it’s unusual sense of spontaneity and aliveness is a direct historical re-telling of it’s creators lives. 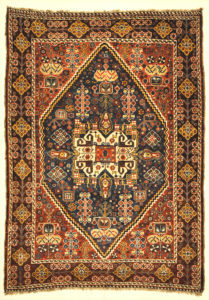 Qashqai people have a history and culture rich in both struggle and inspiration and their artful rugs resemble it. This Antique Qashqai rug is full of history, it’s unusual sense of spontaneity and aliveness is a direct historical re-telling of it’s creators lives. 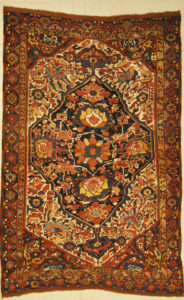 Persian Qashgai Woven Circa 1890 features dark reds, saffron golds, and rich blues. 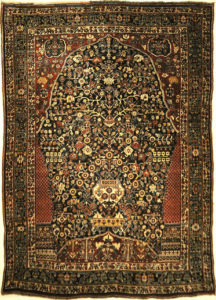 Furthermore jewel tone rug colors became available to the ancient tribes with vegetable-based dyes. 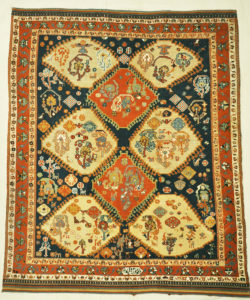 The Fine Qashgai Rug features reds, orange, and rich blues. 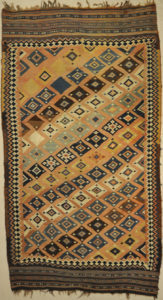 This jewel tone rug colors were available to the ancient tribes with vegetable-based dyes, and today they are still often incorporated into the design despite the availability of a wider range of dyes. 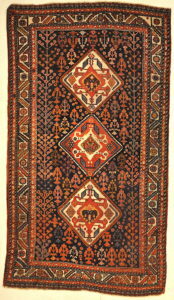 Antique Qashqai rug like this Antique Qashqai Chanteh Women’s Bag are beautiful and intricate tribal pile rugs. They get their name from Persian nomadic tribes that have lived in what is now southwest Iran for centuries. 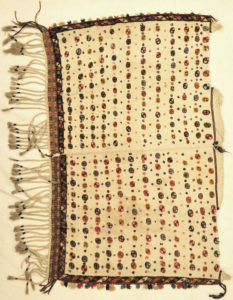 This piece of antique woven carpet art is called a Chanteh, and is used as a woman’s purse. 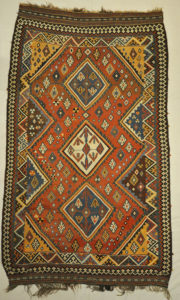 Antique Qashqai rug are beautiful and intricate tribal pile rugs. They get their name from Persian nomadic tribes that have lived in what is now southwest Iran for centuries. 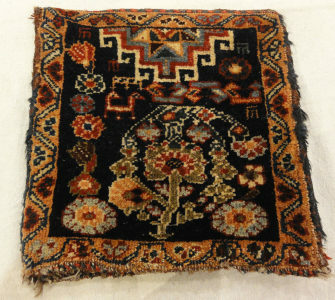 This is an Antique Qashqai Saddle Cover. 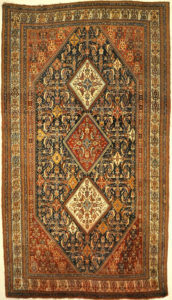 The Fine Antique Qashqai Kashkuli Rug will typically feature dark reds, saffron golds, and rich blues. 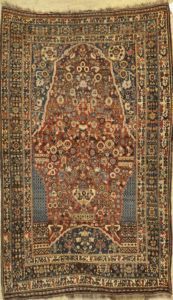 These jewel tone rug colors were available to the ancient tribes with vegetable-based dyes, and today they are still often incorporated into the design despite the availability of a wider range of dyes. 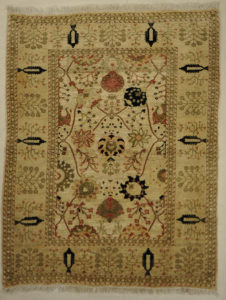 Antique Qashqai rugs like this Very Rare Antique Qashqai 1001 Flowers Rug are beautiful and intricate tribal pile rugs. They get their name from Persian nomadic tribes that have lived in what is now southwest Iran for centuries. They often feature geometric patterns, highly developed floral designs and will typically feature dark reds, saffron golds, and rich blues. 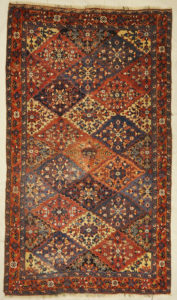 These jewel tone rug colors were available to the ancient tribes with vegetable-based dyes, and today they are still often incorporated into the design despite the availability of a wider range of dyes. 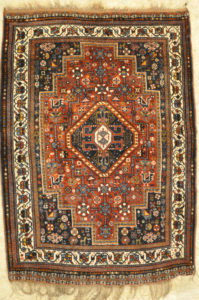 Antique Qashqai rug are beautiful and intricate tribal pile rugs. They get their name from Persian nomadic tribes that have lived in what is now southwest Iran for centuries. They often feature geometric patterns and highly developed floral designs. 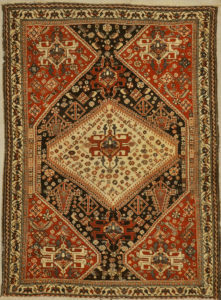 Antique Qashqai rug are beautiful and intricate tribal pile rugs. They get their name from Persian nomadic tribes that have lived in what is now southwest Iran for centuries. 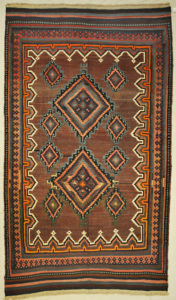 Antique Qashqai rug are beautiful and intricate, Tribal pile rugs. They get their name from Persian nomadic tribes that have lived in what is now southwest Iran for centuries. 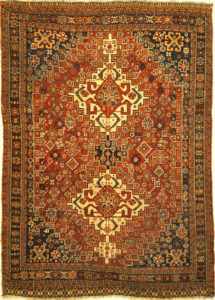 The Antique Persian Qashgai Woven Circa 1890 features dark reds, saffron golds, and rich blues. Furthermore jewel tone rug colors became available to the ancient tribes with vegetable-based dyes. 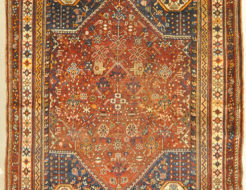 Antique Qashqai rug are beautiful and intricate, Tribal pile rugs. They get their name from Persian nomadic tribes. That have lived in what is now southwest Iran for centuries. 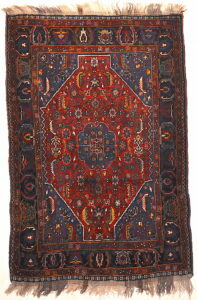 The Finest Antique Qashgai Rug features dark reds, saffron golds, and rich blues. 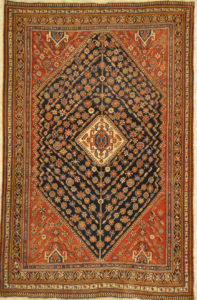 This jewel tone rug colors were available to the ancient tribes with vegetable-based dyes, and today they are still often incorporated into the design despite the availability of a wider range of dyes. 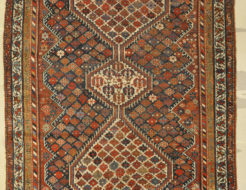 This Antique Kashkuli Qashgai rugs will typically feature dark reds, saffron golds, and rich blues. 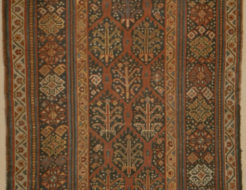 These jewel tone rug colors were available to the ancient tribes with vegetable-based dyes, and today they are still often incorporated into the design despite the availability of a wider range of dyes. 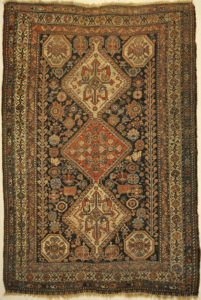 The antique Qashgai rug tell tales and record their daily lives on these beautiful antique rugs. They frequently depict people and animals, but also common household objects, including combs, trees, flowers, and possessions. They often feature geometric patterns and highly developed floral designs. 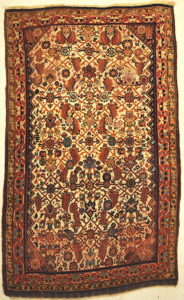 The Qashqai rug colors often feature red, saffron yellow and navy. 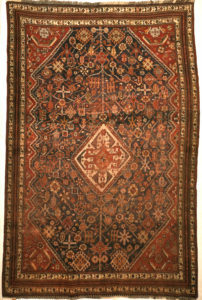 A distinguishable mark of Qashqai antique rugs is the use of flat weave.